The Verge recently posted a fascinating article on the fate of the app developer Pixite. The story recounts what many developers are already seeing: Relying on the App Store or Google Play for continued success simply will not fly. You could end up spending a fortune in just discoverability, and should you be so lucky to achieve seven figures of downloads (or more), your journey is actually just beginning. The problem is not only that getting paid for the download is increasingly getting more difficult (In 2011, 63% of all downloads were paid, at $3.27 per download – last year only 27% were paid at $1.27 per download), but that users are downloading less apps per user per month. Downloads overall are going up as a huge number of new smartphones come online every day, but chances are those users are global of nature – adding more complexity in how to reach and monetize those users. 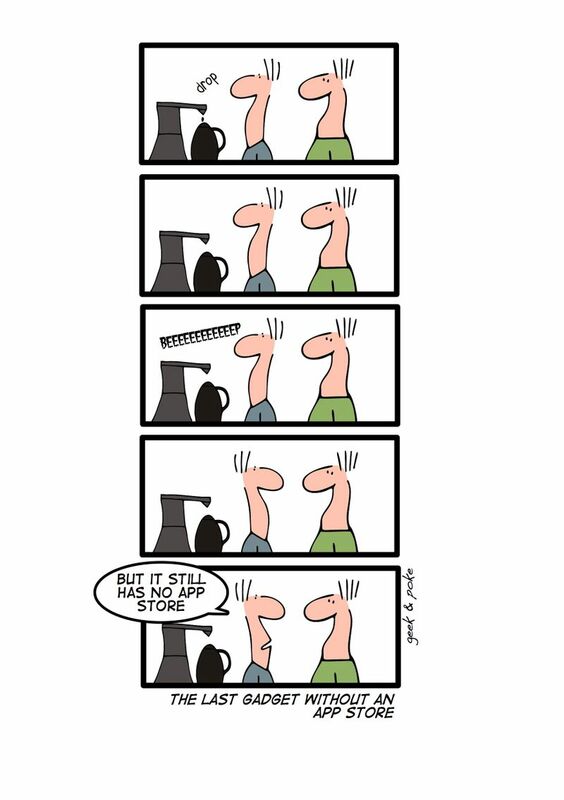 Being an app developer is becoming ever increasingly complex from a business perspective. Where do you find revenue? 85% of the app store revenue goes to games. And the majority of revenue in gaming today is predominantly in in-app purchases and/or advertising – i.e. it’s nearly impossible to charge for single app installs. At CodeNgo however, we have seen an uptick in subscription based stores, where consumers do not pay for a single download of your app, but pay for a curated experience from app stores picking top of the line content where they can download apps that normally cost money for a monthly subscription fee. The reason this model works to some extent is similar to the overall app store problem: Too many apps overwhelm consumers, and a value is placed on curation. Players like Opera, Mobango, Naranya – all CodeNgo channels, are seeing some traction in subscription offerings. The problem of course in gaming is that your content is only relevant for so long. Just as movies die out over time, so do games. Sure, you can try and discover new markets, but eventually you’ll run out or succumb to the complexity of localization. You can, as the movie industry does, try and produce sequels, or come up with entirely original content (Quiz: In 10 seconds, name 1 Rovio title published after Angry Birds that did not have anything to do with Angry Birds……. No? Yeah, point proven). But you will be in a hit based entertainment industry – and if you don’t already have a huge installed base to market to – be faced with distribution and marketing challenges for every title you produce. So what if you do not have a gaming app? Pixite’s story really tells the tale from a non-game app revenue perspective. Sure, you can create apps that are of incredible value, but then you really need to constantly re-invent your app and your offering to entice the user to come back and to keep spending. Your ability to charge much more than the standard amounts for in-app purchases are also there, as users are likely to value the utility of your app. But – copycats can come quickly, and you need to constantly evolve your offering too keep users enticed and fend off competitors. So what if my app is great? Is publishing in the app store enough? Even if you continuously innovate and improve your product, there mere presence in Google Play is not enough. As new markets continue to open up due to more and more affordable handsets and data plans thrown into emerging markets, the super stores ability to cater to locals dwindles. And as any producer of a commodity (yes you may feel your app is not, but apps in general are), you need to think like the big soft drink producers in your distribution strategy – you will need to be everywhere your users are. And increasingly in emerging markets, that is not on Google Play. And while some feel that Google will solve headaches for developers even in markets like China, we know they actually cause more (unless you have the big $$$s to spend to be on the top 25 lists). If you are relying on in-app purchases for a living, you will also need to have a very clear understanding that while you may not need to localize your app fully, you need to localize billing capabilities. Maintaining multiple SKUs are a pain point, thus seeking to work with frameworks like OpenIAB should be explored. Distribution does not unfortunately negate the need for marketing. Your funds do not exclusively have to go to CPI, but chances are you will need to spend something. And the bang for your buck may be far greater in emerging markets and through non-traditional channels like Facebook and Google, where big publishers drive up the cost. Talk to CodeNgo about how we can help you efficiently reach new users in markets you may not have thought of. Your journey as a markets is not over after spending money on ads and distributing your app everywhere though. There is a lot more to app marketing, that begins even at the product design level. From efficient use of notifications to entice users to user your app, to ASO, to analytics and tracking and more – you will quickly find more time needs to be spent on marketing than product development. We recommend reading the excellent compilation of marketing 101 tips from Apptentive.